As low as $4.09 a tester. The rapid Integrated Drug Screen Cup is a fast visual, competitive panel immunoassay that can be used for the simultaneous, qualitative detection of multiple drug metabolites at specific cutoff levels in human urine. Call for volume discounts 800.504.7355. See Drug Test Specifics for the specific drugs detected within each of the above drug types. As low as $6.64 a tester. The 10 Panel Urine Drug Test Cassette is a fast visual, competitive panel immunoassay that can be used for the simultaneous, qualitative detection of multiple drug metabolites at specific cutoff levels in human urine. Call for volume discounts 800.504.7355. See Drug Test Specifics for the specific drugs detected within each of the above drug types. As low as $4.50 a tester. The Urine Drug Test Cassette is a fast visual, competitive panel immunoassay that can be used for the simultaneous, qualitative detection of multiple drug metabolites at specific cutoff levels in human urine. Call for volume discounts 800.504.7355. See Drug Test Specifics for the specific drugs detected within each of the above drug types. As low as $3.99 a tester. The Urine Drug Test Cassette is a fast visual, competitive panel immunoassay that can be used for the simultaneous, qualitative detection of multiple drug metabolites at specific cutoff levels in human urine. 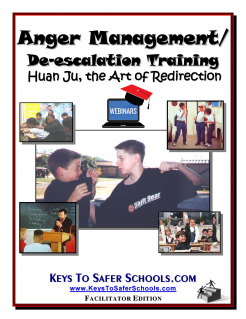 Call for volume discounts 800.504.7355. See Drug Test Specifics for the specific drugs detected within each of the above drug types. As low as .69 per tester. The Single Drug Test Cassette can test some 8 different drugs. The competitive panel immunoassay that can be used for the simultaneous, qualitative detection of differ drug metabolites at specific cutoff levels in human urine. Sold per tester, quanity discounts below. Additional discounts call 800.504.7355 See Drug Test Specifics for the specific drugs detected within each of the above drug types. As low as 1.98 per tester. Test for 1 drug (Alcohol) per strip. Simple urine dip strips are available for Alcohol. Sold per case of 25 testers, quanity discounts below. . See Drug Test Specifics for the specific drugs detected within each of the above drug types. As Low As $5.93. K2 - Designer Synthetic Marijuana tests for 1 drug per strip. Simple urine dip strips to test K2 - Designer Synthetic Marijuana. Sold per tester, quanity discounts call 800.504.7355. See Drug Test Specifics for the specific drugs detected within each of the above drug types. As low as .56 per tester. Test for 1 drug per strip. 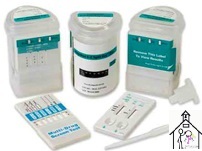 Simple urine dip strips are available for 3 drug groups below. Sold per tester, quanity discounts below. See Drug Test Specifics for the specific drugs detected within each of the above drug types.